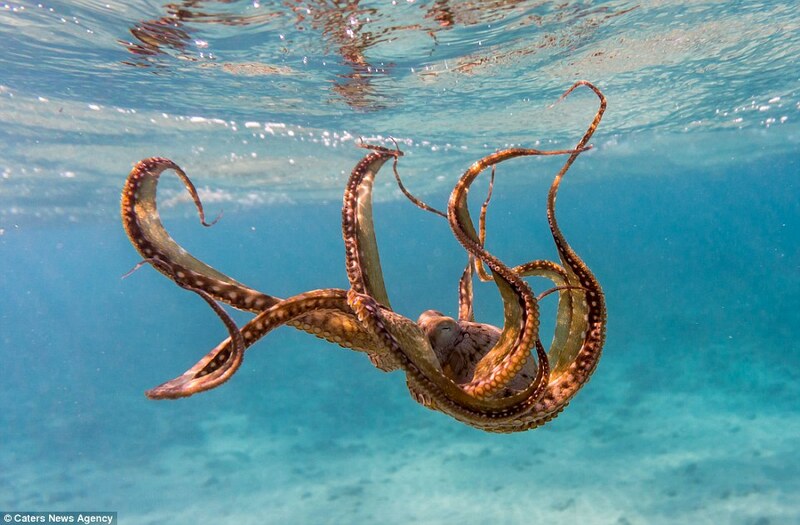 These are the amazing images where a group of women have made friends with a group of octopuses off the coast of Hawaii. 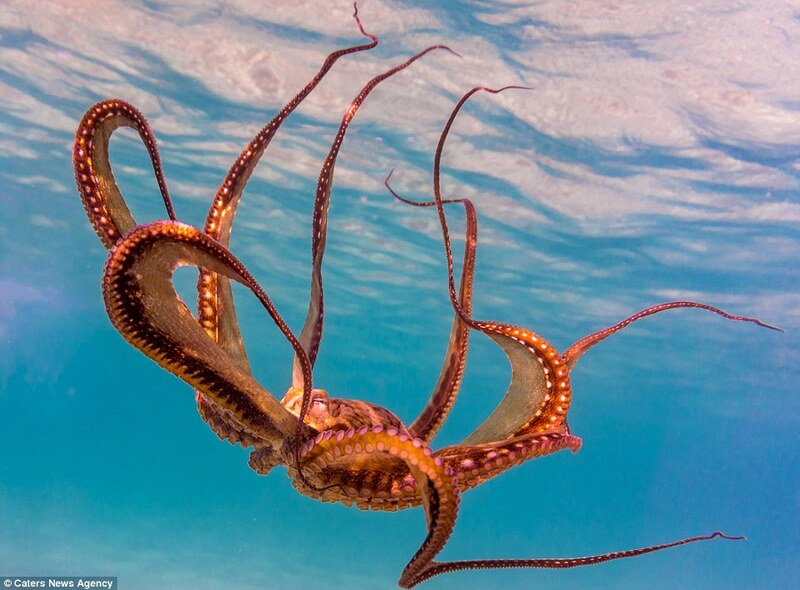 The cephalopods grab onto the women as they swim in the sea off the coast of Honolulu. Jessica Bacerra captured the striking images in the crystal clear waters of Honolulu, Hawaii, where she and her friends Kathryn Brown, Samantha Heath, Kristine Esposito, Kristina Harris regularly snorkel. Jessica, 41, said: ‘We consider these brown octopuses as pets – we love them! ‘I love finding them and watching them interact with people, they’re brilliant.